Cigna Life Insurance NZ has handed AMP Capital a local fixed income mandate of more than $100 million. According to a joint statement, AMP Capital will assume responsibility for the assets as newly-appointed manager of two Cigna NZ funds: the NZ Policy Holder and Shareholder funds. It is understood Cigna, the NZ subsidiary of US ‘Fortune 500’ company Cigna Corporation, previously managed the funds in-house. The statement says Cigna employed “specialist research resources from the US and Hong Kong” to review a range of both NZ and offshore managers before settling on AMP Capital. Lance Walker, Cigna CEO, said in the release the insurer was impressed by the “process, people and performance” of the AMP Capital NZ fixed income business. “We look forward to AMP Capital helping us achieve our goals in New Zealand,” Walker said. The mandate will tap into AMP Capital’s active approach to managing NZ fixed income, including a strong focus on credit risk and access to “innovative fixed income products”, the statement says. 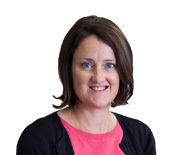 Vicky Hyde-Smith, newly-appointed sole head of NZ fixed income for AMP Capital, said the Cigna win signaled continuing “institutional investor confidence” in the group’s abilities in the asset class. Hyde-Smith, a 16-year veteran in the AMP Capital NZ fixed income team, took over the helm this March after Grant Hassell dropped the co-head role in managing the asset class to focus on his managing director and new chief investment officer duties. AMP Capital is the 2017 Morningstar fixed income fund manager of the year and is up, once again, for a similar gong at the INFINZ awards scheduled for May 18. Cigna Life boasts a 90-year history in the NZ market with a current focus on direct-to-consumer and white-labeling business with other financial institutions. According to NZ insurance research specialist firm, Chatswood Consulting, while Cigna has a growing direct market share “credit insurance remains the bulk of their business”.